Earn 58 loyalty points, worth £2.90, with this purchase. 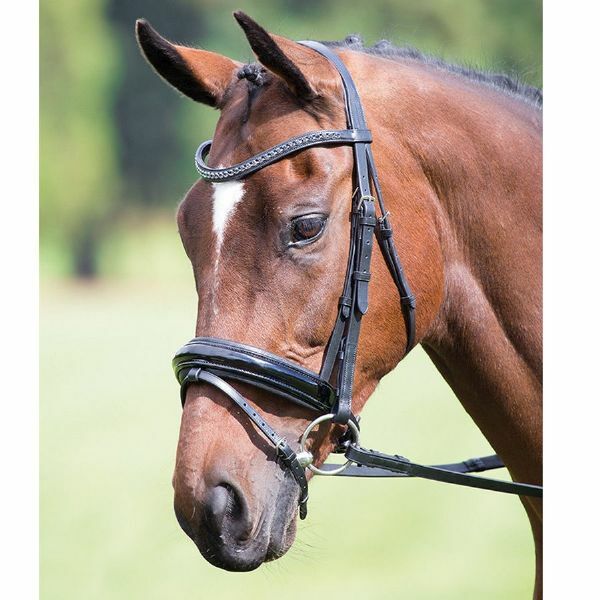 A super smart dressage bridle featuring a row of large diamante studs along the elegantly curved browband. A wide raised flash noseband benefits from generous padding and a patent finish. The Aviemore range of classic bridles from Shires will stand the test of time without stretching your pocket. Premium leather is tanned using vegetable derivatives to produce a soft, supple product with a traditional finish. Features include a raised browband, rubber grip reins, hook stud billets and stainless steel fittings.